The question I asked in my previous update – whether Gerdes would make anything of the tasks I gave him in my VNN post # 955 during my holiday absence – is answered in my VNN post # 1011, in which I reminded Gerdes of what he should have done, while I was on vacation, in order to look a little bit less like the cowardly and obnoxious liar he has shown himself to be throughout our discussions. Of course I didn’t expect him to do anything, and he lived up to my expectations. On the Cesspit thread Muehlenkamp accepts nafcash's challenge, no links to this series or to the VNN thread were posted, and neither did Gerdes forward my invitation to Jonni "Hannover" Hargis to step out of his warm and cozy Führerbunker into open debate. Instead Gerdes and some fellow retards mouthed off on page 3 about websites related to archaeological work at Sobibor, their deplorable "arguments" saying much about themselves but little else, as usual. 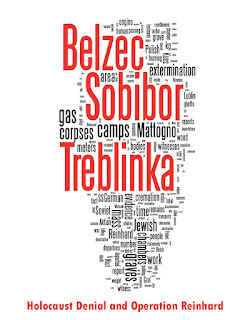 Even if some of the bodies were not reduced to mere ashes and bone fragments, the incineration of the bodies on grids at Sobibor must have produced lots of such smaller remains, and it stands to reason that these were not left lying around and neither necessarily taken somewhere to be scattered, but returned to the mass graves together with the incompletely burned remains that are suggested by the term "charred human remains" – assuming this is a correct translation of what Prof. Kola told the Polish news agency in Polish language. "As I learned from Yoram Haimi of the Sobibor Archaeological Project, the reason why Prof. Kola has not yet published a detailed and illustrated report about his 2001 findings is that he wasn’t paid by the Polish government entity that commissioned his work in 2001. So Prof. Kola is sitting on his findings, so to say, until this problem is solved." I honestly can't stop laughing at that one. It's been 7 years and the holocaust industry can't come up with the spare change to pay Kola? The obvious conclusion from Prof. Kola’s funding problems – that a "holocaust industry", in the sense of a powerful monolithic organization promoting the memory of the Holocaust for ulterior purposes, only exists in "Revisionist" conspiracy fantasies – was obviously beyond a fanatical adherent to such fantasies. Yet his "spare change" remark shows that even a cretin like Gerdes can to a certain extent be useful other than as a demonstration object of "Revisionist" imbecility (in which respect he is priceless), for he points to an issue that I consider worth addressing: funding problems facing endeavors to use archaeology as a means of expanding and conveying historical knowledge about the Nazi extermination camps. The Government Agency that supervises wartime cemeteries and monuments in Poland also finances the excavations at Chelmno, which cost about $ 17,500 a year. The country faces a large budget deficit, however, and additional funds that would allow Nowak to realize her plans of opening a museum, visitors’ center, and learning center on the palace grounds are in short supply. For now, some of the objects found at Chelmno are on display in an austere, one-room makeshift museum on the site. The above quote is from the article "Remembering Chelmno", by Juliet Golden, which appeared in the January/February 2003 edition of Archaeology magazine. This article describes the work that has been done on the site of Chelmno extermination camp since the late 1980s by Lucja Nowak, director of the Konin Regional Museum. Mrs. Nowak’s findings, as the article points out, "have led to a more complete version of the camp’s history than the existing handful of eyewitness accounts provide". Although it fails to take into account the documentary evidence that has also been helpful in reconstructing the mass murder at Chelmno, this statement expresses the importance of archaeological work on the site of the Nazi extermination camps. To be sure, such work is not necessary to prove that mass murder on an enormous scale happened at these places – that has long been proven beyond a reasonable doubt on hand of documentary and eyewitness evidence (the latter including depositions from some of those who did the killing), assessed by historians and at various murder trials before West German courts. At the trial against Heinrich B. et al, for instance, the District Court of Bonn, Germany, managed to reconstruct, on hand of documentary evidence, the deportation to Chelmno of about 152,000 people, and established this as being the minimum number of that camp's victims. 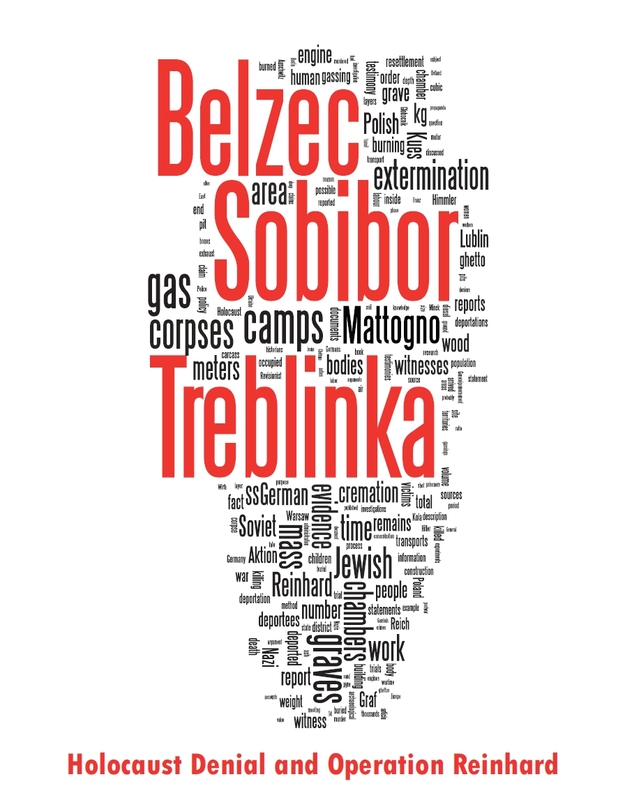 A translation of excerpts from the court's judgment can be found on the RODOH thread Number of Victims of Chelmno Extermination Camp. Vast amounts of property plundered by the Nazis have been uncovered. "It’s a little strange, but with every movement of the shovel you unearth dozens of objects," says Przymyslaw Gaj, a 26-year-old archaeology student. "You find as many things here in one day as you would normally find in an entire season in the usual dig." The meticulous segregation of goods adds to the surreal nature of the excavation. In one place archaeologists uncovered a thick layer of medicine bottles, followed by a layer of eating utensils. Another pit was filled with combs. Archaeologists have also dug up thousands of dental bridges and false teeth picked over to recover precious metal used in dental work. There is obviously an emotional dimension to the work at Chelmno that is seldom encountered in archaeology. Small fragments of bone catch the sunlight at the forest site where the crematories once stood. "It’s one thing to hear about the crematory, it’s another to stand inside an enormous pit that is filled with human bones," says Krzysztof Gorczyca, an archaeologist who directed last summer’s excavation. "Only then did it occur to me just how many people were murdered here." Many of the recovered objects speak volumes about how victims lived in the weeks and months before they arrived at Chelmno. In a pit of goods looted from victims brought in from the Lodz ghetto, two brooches, crudely fashioned from wire, bear the names of Bela and Irka. Other relics give names of victims or their hometowns and reveal their hobbies or passions. Hundreds of medicine bottles found in a single pit originated in Germany, Luxembourg and Czechoslovakia. A charm bearing the image of a tombstone gives a family name and the burial location in a Jewish cemetery in what was once the German city of Breslau, now Wroclaw. Josef Jakubowski carried a cigarette case he won in a 1936 edition of the "Gordon-Bennet" motorcycle race. Jewish leaders have praised Nowak’s scrupulous approach to her work. "The research at Chelmno is carried out with the absolute agreement and cooperation of the Jewish community," says Simcha Keller, head of the Jewish community in Lodz. "Dr. Nowak is a guarantor that the work is done with complete respect." Human remains found during the excavations are interred in a Jewish cemetery established in the forest. The burial ceremonies are attended by Jews from around the world. Yet Dr. Nowak and other archaeologists, like the members of the Sobibor Archaeology Project, need more than praise and symbolic encouragement. They shouldn't have to struggle for the funds they need in order to do their difficult and valuable work of documenting the physical evidence lying in the ground of places like Chelmno and Sobibor. For what they are doing is far more important and useful than, for instance, the setting up of symbolic monuments, on which a lot of money is spent. The Stelenfeld monument in Berlin, for instance, cost the enormous amount of 27.6 million Euros of German taxpayer’s money – spent on 2,711 concrete blocks, the "message" of which somehow escapes me.